Corion has built into their cryptocurrency a way to eliminate volatility by managing the amount of COR in distribution based on the rate of COR/USD any day. The company aims at providing an ecosystem with a stable digital asset to serve the global economy, with innovative tools for payment, finance and trading. CORION developers are working on exponentially increasing the userbase of cryptocurrencies in the upcoming years. Corion list ist seven features to its platform that will allow it to reach its goal. A marketplace where community members can start, promote and extend their businesses and users are able to find suitable solutions for their needs. A cryptocurrency that is stable and not subject to inflation and deflation. The ability for users and service providers to earn as they hold their COR. A solution that is safe and secure and not vulnerable to hackers. Premium tokens which allow users to become shareholders. 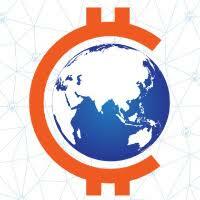 The COR token is created and released in a way that keeps it stable against FIAT currencies. This is done by a detailed process laid out in the whitepaper but we will describe it in simple terms here. If the COR/USD is above $1, it shows that more COR is needed in the marketplace and the company will release up to an additional 2.5% of the distributed COR tokens to the existing token holders. In the case where the COR/USD is below $1, this will indicate that their is not enough demand for COR in the marketplace and the company will not release additional coins until the market shows they are needed. The company opened its ICO on June 18th, 2017 and will close on July 30th, 2017. The company has set its hard cap at 20,000,000 tokens. There is a sliding scale bonus structure during the ICO. The price is set for each COR token to be as close to $1 as possible throughout the sale as ultimately the token should always be $1.